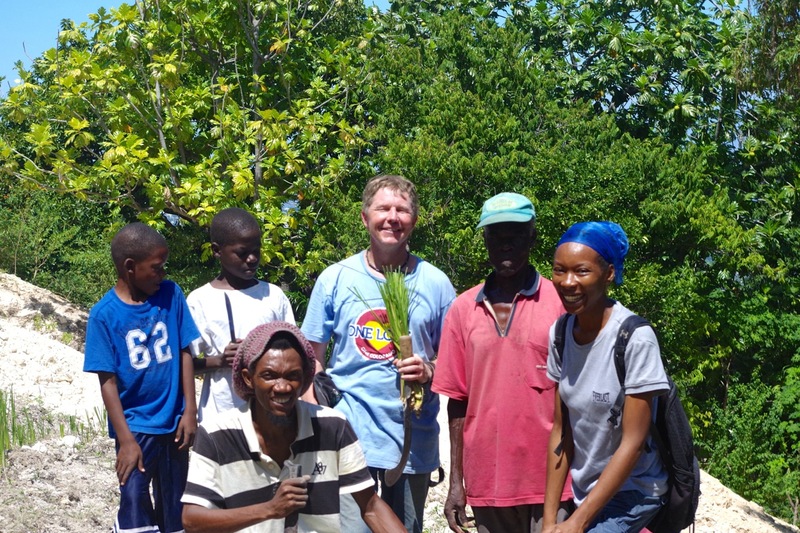 The Director of the first Royalty Free Haiti school, Najee Dread, plants vetiver grass on his land with YSL President Greg Cronin, his family, and some RFH students. 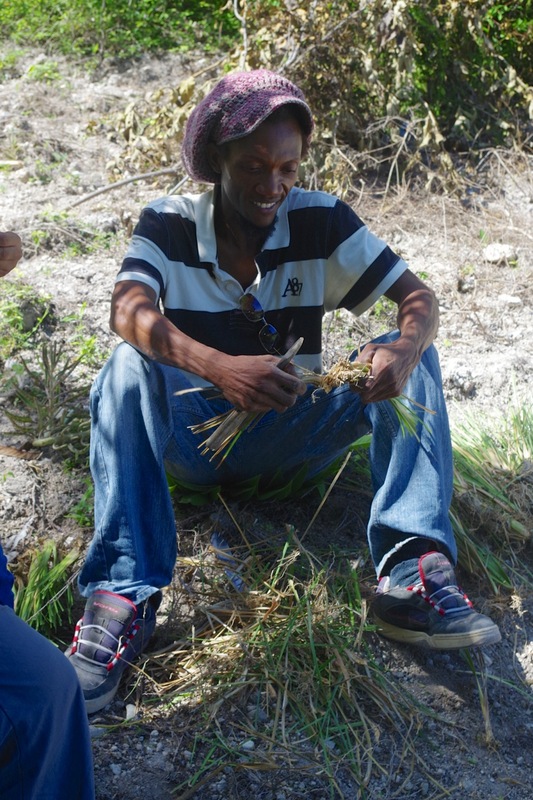 Najee says the vetiver grass will stabilize the soil on his steep property, where he plans to grow beans, peppers, melons, corn, and fruit trees. 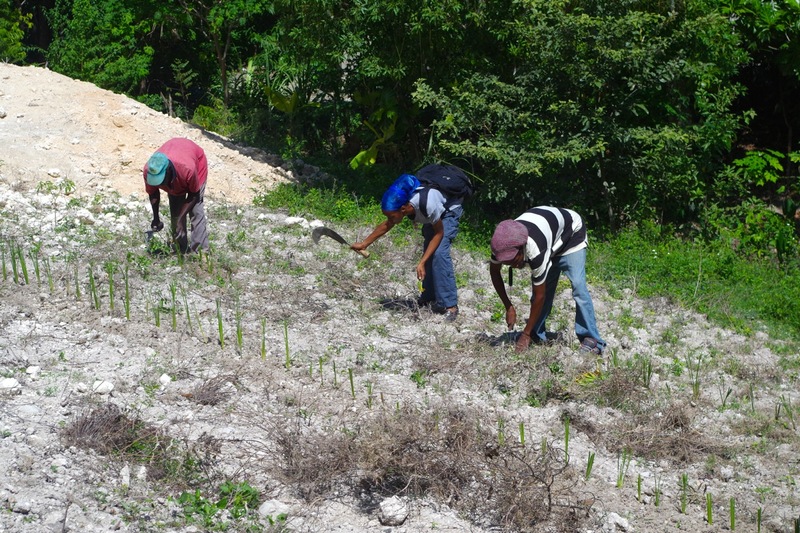 Visit the Royalty Free Haiti and Vetiver System pages to learn more about the individual projects.